© Jordan Main . All rights reserved. 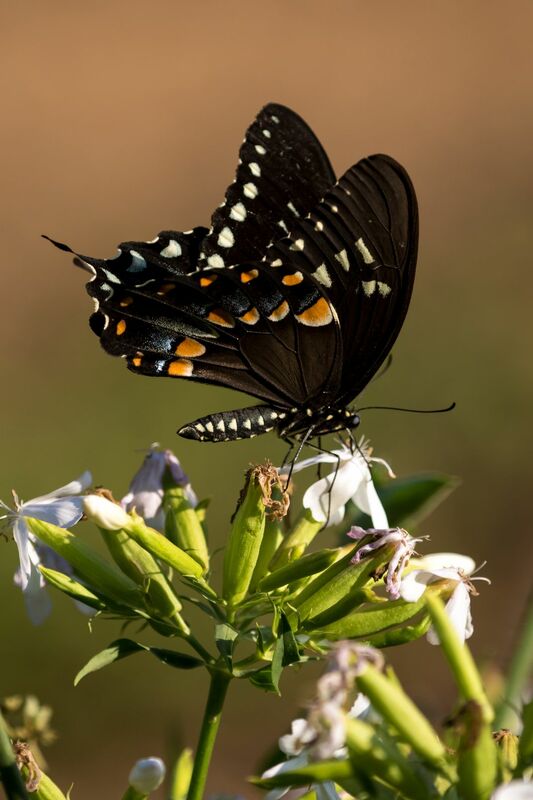 A Spicebush Swallowtail Butterfly Pollinating Flowers. On a hot summers day I was specifically hunting for butterflies because I infection grown tired of taking photos of the birds that live near my house. Since I only had a super telephoto, I was hoping to see some larger specimens, which I ended up with this swallowtail. Date Uploaded: Aug. 17, 2016, 5:37 p.m.